Living Liberty greets the huddled masses during meetings and conventions. Just another day on the job for Jennifer L. Stewart, aka Living Liberty. 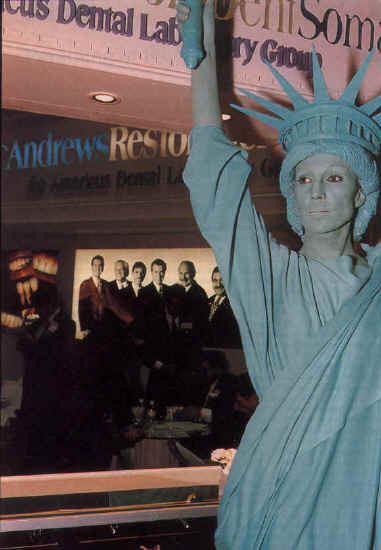 Her appearance at the Greater New York Dental Meeting attracted the huddled masses to a dental lab's exhibit.